There were three areas of redoubts in New Hope: at the corner of West Bridge and Ferry streets, at the junction of South Main and Ferry streets near the Logan Inn, and from South Main and Mechanic streets up Mechanic Street to the area of the old New Hope Elementary School, now Kehilat HaNahar. 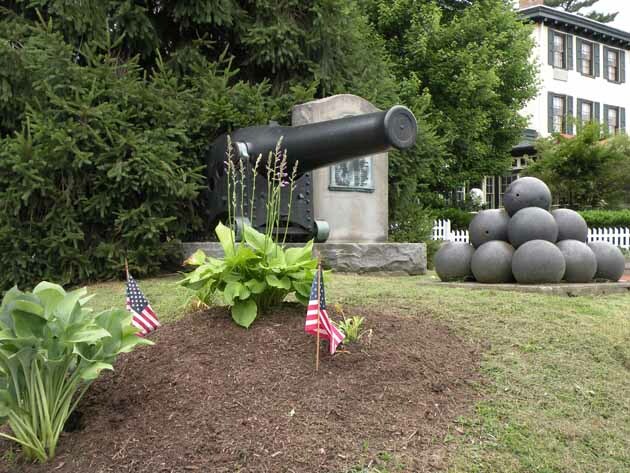 The cannon at South Main and Ferry streets is a Civil War cannon, on loan from the United States Navy. 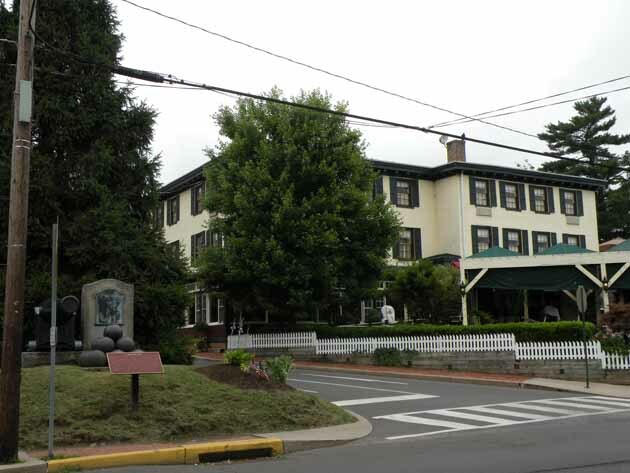 In 1776 there were very few buildings in New Hope and many of the trees had been removed. The view from the top of the Mechanic Street redoubt would extend all the way down the hill to the area of the ferry landing. These redoubts were critically important for the protection of the ferry, an important crossing spot on the Delaware River.